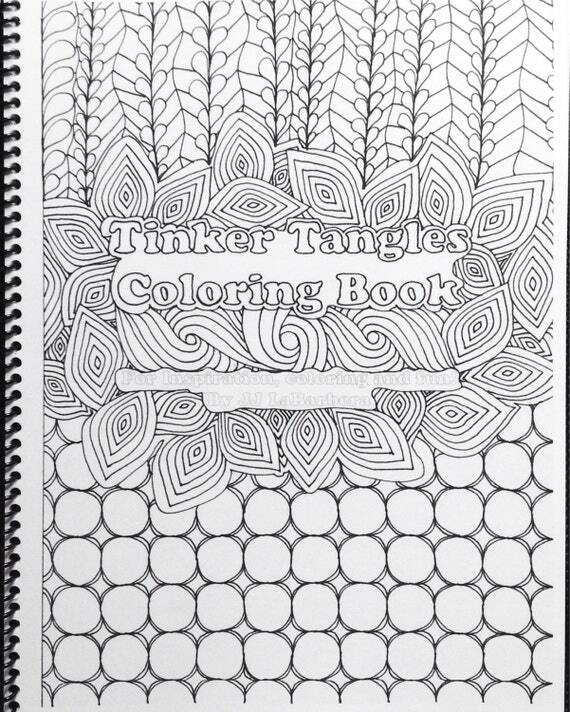 The app, Coloring Advanced Tangles launched this week in the App Store on iTunes. I am pretty excited to share this with you. There are two versions of the app, a paid and free version. Both are pretty great, the free version has ads. By clicking here, you can go to the store and download it today. The app is really fun. John Young, the app builder, did a really great job. John built the app and I did all the artwork. If you download it, would you please take a moment to rate it? I am also making available as a download, the images featured in the app. They are 12, 6x6" images available as a PDF in my etsy shop. I am offering them at the same price as the paid version of the app: $1.99. Download them and color to your heart's content. If you download the app and/or buy the images in etsy, I invite you to share them with me on my Facebook Page. I would love to collect them in a folder to share with others (with your permission of course). I really enjoyed creating the images for the app. It was fun to draw with a different frame of mind. While drawing, I needed to keep in mind that someone would be coming behind me to fill in the white areas with color and that I would not have shading to help me in popping out patterns to separate one from the other. 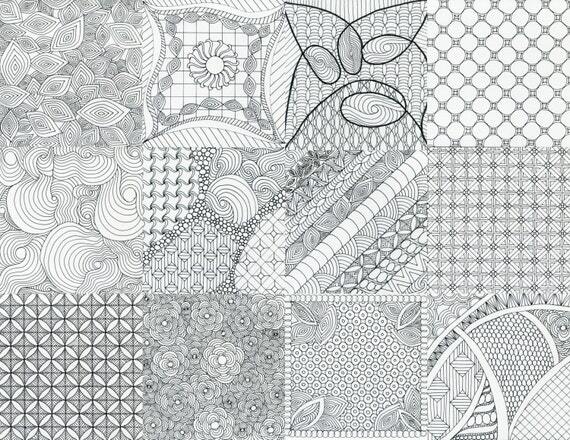 The fun thing that I discovered was that thinking of those things, did not keep the process from being "zentangle". I can tell you that there is really something freeing and mindful in making the same pattern over and over again. Making these pages was so fun that after I finished them, I almost immediately started on a full size coloring book. Naturally, you can also buy a copy of that in my etsy. The book made it's debut this weekend at the Arden Fair in my area. I can report that it was quite popular with people of all ages. Not only is it fun to color, but a great way to practice shading. Thanks for stopping by and taking a look, oh, and listening to my sales pitch. I am really excited about the app and the coloring book. They have been the work of my summer and I have had such a fun time.